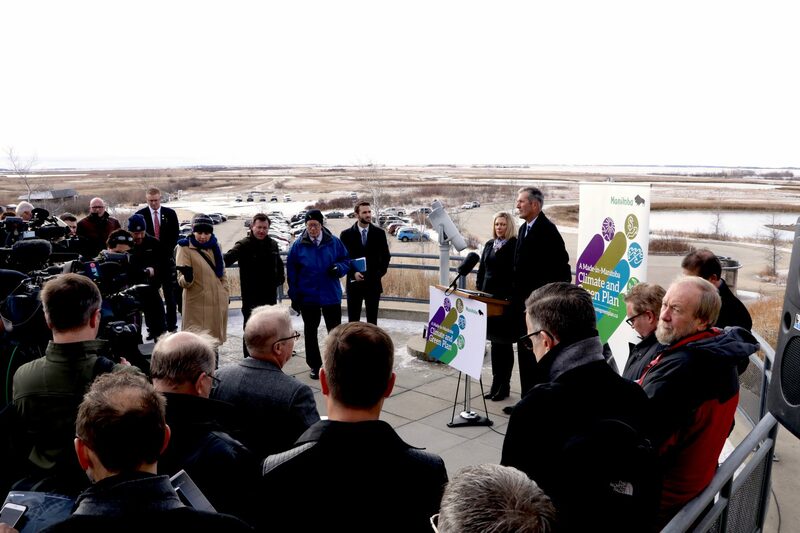 With sweeping views of Oak Hammock Marsh, one of the province’s preeminent wetlands, Premier Brian Pallister delivered much-anticipated details of the government’s new Made-in-Manitoba Climate and Green Plan. The plan includes significant investments that acknowledge the essential role wetlands play in climate change mitigation, a strong economy and a healthy environment. Accompanied by Rochelle Squires, Minister of Sustainable Development, the Premier outlined several opportunities for wetland conservation throughout the province. DUC’s focus now shifts to implementation and putting the plan into action. Below are highlights that will provide a framework for DUC’s ongoing conservation and policy efforts in Manitoba. 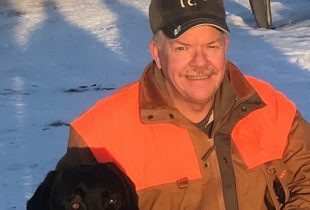 The Made-in-Manitoba Climate and Green Plan commits to developing a boreal wetland conservation policy aimed at striking a balance between conserving wetlands and pursuing economic opportunities in the north. Recognizing boreal wetlands’ ability to store carbon and mitigate climate change will be key. As much as 27.9 billion tonnes of carbon is estimated to be stored in Manitoba’s boreal peatlands – an amount equivalent to more than a century of Canada’s total greenhouse gas emissions. If wetlands are drained or destroyed, that carbon will be released into the atmosphere and deliver a devastating blow to the environment. DUC will be collaborating with northern communities, industry, Indigenous Peoples, NGOs and all stakeholders that live and work in the boreal to find effective ways of safeguarding these critical carbon sinks. The plan also outlines enhanced protection of seasonal, permanent and semi-permanent wetlands in the province’s prairie region. Conserving these natural areas is essential to mitigating floods that have devastated communities and agricultural producers in recent years. In 2011, agricultural losses caused by flooding saw three million acres (1.2 million hectares) of agricultural land go unseeded. This cost the Manitoba economy more than $1 billion. It was a similar story in 2014. Approximately 3.5 million acres (1.4 million hectares) of land went unseeded or had crops drowned out as a result of flooding. Estimated cost to the Manitoba economy was again in excess of $1 billion. Wetlands mitigate these environmental and economic disasters. Acting like natural sponges, wetlands hold water during wet periods and slowly release it during dry periods. Problem is, wetlands across southern Manitoba are rapidly disappearing. Approximately nine acres (3.6 hectares), or 4.5 Canadian Football League fields, of wetlands are lost per day. DUC is focused on reversing this trend and would like to see the plan’s enhanced wetland protection become enforceable legislation. By working closely with agricultural producers and other landowners, DUC will continue conserving wetlands to ensure a sustainable prairie landscape. 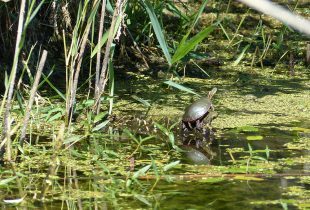 Wetland ecosystems – both boreal and prairie – provide critical habitat for a variety of wildlife. This includes many species at risk. Conservation investments in the Made-in-Manitoba Climate and Green Plan will benefit at-risk species including the boreal woodland caribou, whooping crane and least bittern. DUC will continue to work with other stakeholder partners to implement this plan and initiate legislation that will protect all wetlands across the province.